I am wondering if there are many retailers that would benefit from an update to work order functionality. We are a specialty retailer in the uniform industry. 90% of our sales transactions have multiple items that can consist of some in stock, some special order and both of the in stock and special order items need alterations, embroidery, screen printing or some other form of customization. I think the work order option can allow for this but we need to be able to customize the status not only for the work order it self (as is currently the case) but also for each item on the work order that way we can mark an item that is done and picked up as such and an item that is still on order as on order and items that are getting embroidered as in embroidery. The current work order allows for notes to be entered in each line item, which is excellent. Our staff can make notes as to what they did or if there was a need to contact the customer and get their approval for something. The one thing that is lacking is to be able to keep the notes from printing on customer receipts. I would be very interested in that answer also since we do the same. This would be good for us, also. Sometimes we don't want all the comments on the customer receipt. You can have a custom receipt template. You could hide the notes from there. That said the workorder functionality is a bit odd. The design is wildly inconsistent with everything else. "Called" is missing (present in special order). @Dtecg, were you able to customize the sales receipt template to eliminate the work order notes? If so, would you be willing to share? @laurie I've done a few receipt customizations if you're looking for some help! Hey @laurie! I recommend you go to your profile then edit profile > edit preferences to make sure you're set up for all the notifications you want (or don't want!). @Code3Wear that's quite an interesting idea! Have you shared this with our product team on the ideas page? 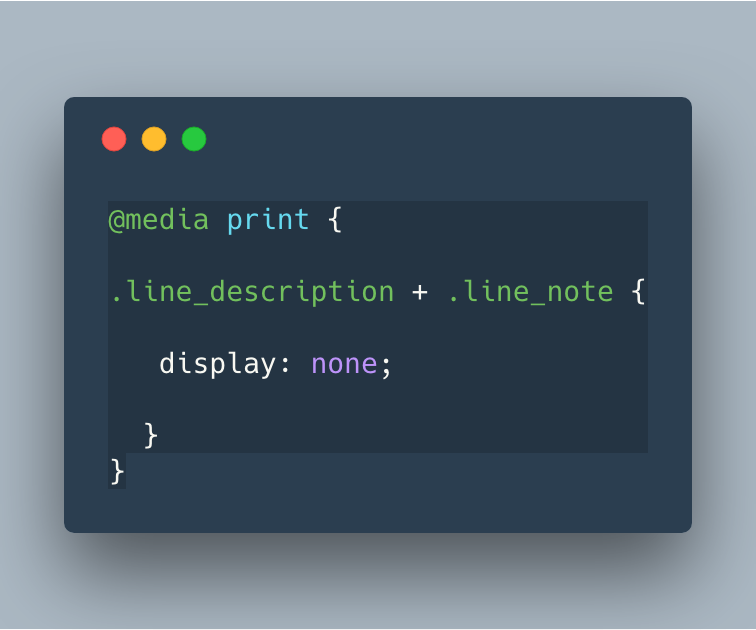 As to your second question you can eliminate the notes of items from printing by inserting the code snippet below into the top of the CSS declarations. If you wanted to remove only those items from a work order that had notes, you will want to explore a custom template solution that will involve some programming. Just to re-iterate, the above are suggestions as Lightspeed do not officially support template design requests. If you are interested taking this further, our sales team can refer you to some of our template design partners.